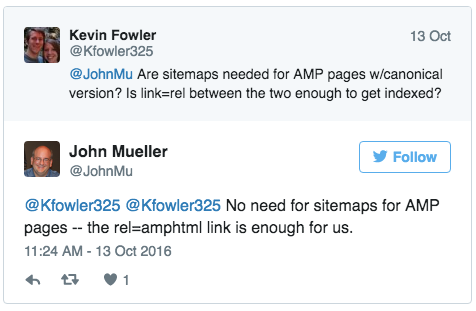 John Mueller of Google said on Twitter that you do not need to submit a separate XML sitemap file for your AMP pages. He said the rel=amphtml link is enough for Google to pick up on the AMP version. So if you have gone AMP, don't go crazy with creating an XML sitemap for those URLs. Google should be able to pick them up pretty quickly itself.